"Requiem for the Unchained," by C.A. 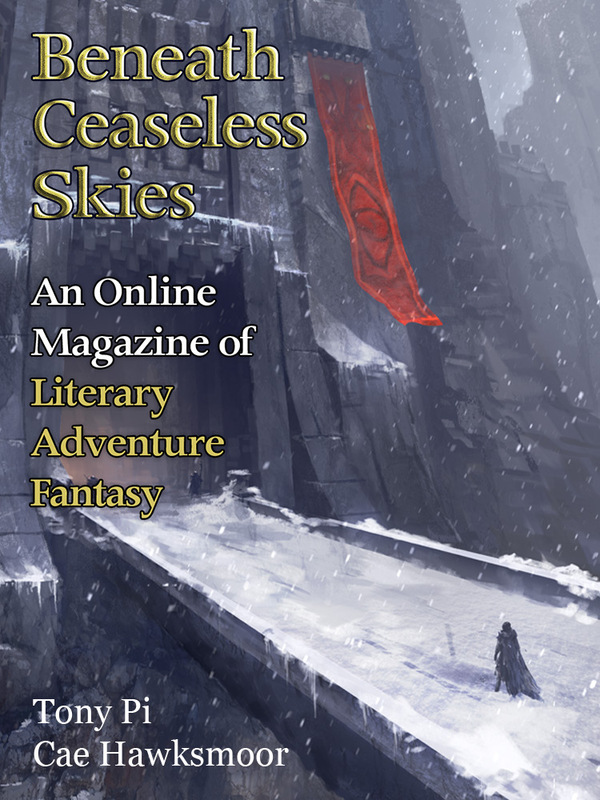 Hawksmoor [bio] (edited by Scott H. Andrews), appeared in Beneath Ceaseless Skies issue 217, published on January 12, 2017. Pro: Narration and dialogue are both good. We learn all about the ships and the storms without a single infodump. We don’t learn all the details of the conflict between the narrator and Émile, but we learn what we need to know. When the Wayward Star’s lanterns go out, and the narrator figures out that this is an insurance scam, all the pieces click. Con: We’re led to believe that there wasn’t a lot of love between the narrator and her wife, so when Christie’s ghost saves her, there’s not a big emotional payoff. 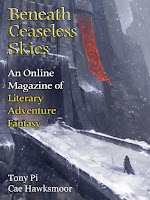 I had trouble suspending belief for the concept of airships that brave storms filled with ghosts who can be warded off with special lanterns. My impression was that the narrator and her wife had love but conflicting personalities. Otherwise, I don't think she would have hated Émile this much.